In an age where hiring recruiters check social media platforms alongside resumes, the online space provides ample opportunities to be seen by potential employers. While many interview candidates will have various social media accounts, having a personal website not only makes you stand out, but also provides you with the opportunity to better showcase your skills. Although creating a personal website may seem daunting, there are many website builders that provide basic services free of charge. Some of the more popular free website builders include Weebly, WIX, Sitey, Jimdo, Doomby, Webflow, and WordPress. These resources provide website templates and options to add multiple pages. Each website offers a different set of features and is user friendly. Additionally, if you feel the need to add advanced features to your website, there are options to purchase an upgrade your account for a more dynamic website. Including a summary or brief biography is important to showcase more of your personality. Unlike a resume, a personal website gives you the freedom to add visual content and more writing space. Along with a biography, you should consider including a link or page to your resume. Keep in mind that many people remove personal information such as your address when posting a resume online. Most importantly, if you have any work samples such as case studies, writing samples, or references, it can be extremely beneficial to showcase these on your website. Also, providing an online portfolio allows prospective employers to physically view and learn more about your work. Make sure to include the results and outcomes of each worksample you place on your website. A personal website is oftentimes considered to be an extended “online business card.” While social media platforms like LinkedIn are beneficial for connecting with business professionals, it can be difficult to showcase your skills on the site. 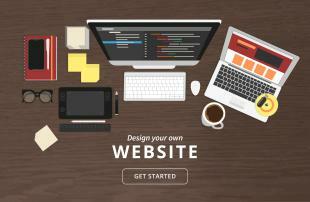 Additionally, creating a personal website makes you more searchable online. You can also cross promote your personal brand by linking your website to LinkedIn and other social media platforms. Also, for those very interested in tracking how effective your websites are, using tools such as Google Analytics can give you better insight on how many people are viewing your personal site and whether or not people choose to download your resume. The New York Times noted that 75 percent of recruiters are required to do an online search of job applicants. Rather than doing a google search and seeing your Facebook page pop up, having a personal website can give you the opportunity to better showcase your personal and professional strengths.